… that you can explore a four kilometer trail down the most popular road in Singapore by following butterflies; beginning at the Botanic Gardens, traversing the malls, traffic and glitz of Orchard Road and all the way up to Fort Canning Park ? Hans Christian Anderson’s butterfly said just living is not enough. One must have sunshine, freedom and a little flower. That is what the Butterfly Trail @ Orchard promises – sunshine, freedom and a little flower for the butterflies; and for us, glimpses of gossamer and flutter and a refreshing, leisurely initiation into urban biodiversity. 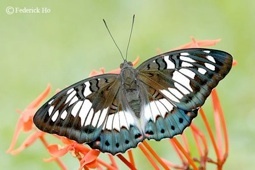 This Lepidopteran walking tour follows the butterflies, the ones that make this trail their home, finding food, shelter and protection in the nectar plants (shrubs and trees) being planted in the green oases between malls, on rooftop and private gardens and in public green spaces. Fifteen selected ‘butterfly hot spots’ pinpointed by brass markers will define the route and those interested can enhance their self-guided exploration with maps which will provide directions and information on the fifty species that experts hope will populate the trail. 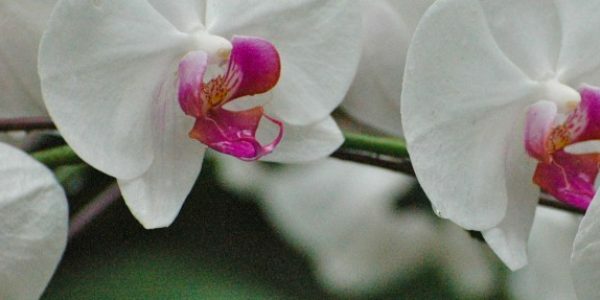 Singapore is home to around 280 species of butterfly and an encounter with a delicate butterfly … or even a phalanx of voracious caterpillars feeding on their preferred food plant can make a visit to Orchard Road more than just memorable, but magical (Nature Society of Singapore). Move over, Hermes, Prada, Ferragamo, Rolex et al; soon it will be Orchard Road for the Chocolate Pansy, the Leopard, the Plain Tiger, the Short Banded Sailor or even the rare Green Baron. Another butterfly experience, casual and there for the enjoyment, is the Butterfly Garden in Changi Airport’s Terminal 3 where the traveler with interest and time can acquaint himself with Blue Pansies, Great Mormons, Batik Lacewings and Mottled Emigrants, among others. 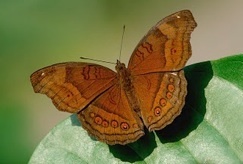 And, on the subject of butterflies, in April 2010, Singapore Post issued a series of four stamps on Singapore’s butterflies, available as sets, presentation packs, self-adhesive booklets and promotional bundles. An article about bats in the newspaper reminded me of the time we moved into a house (in the heart of the city) to find that it was already inhabited by members of the Pteropodidae family aka fruit bats. They hung upside down from the roof of the open garage; the rafters in the living room were their personal perches and each morning, the bedroom blinds opened to a row of beady eyes and bright, curious faces, dangling cheerily upside down from the eaves, watching us watching them so that it was impolite not to wish them a Good Morning. Thoughts of rabies and unspeakable diseases and vampires and such predominated; it was either the bats or us, someone would have to concede the residence, despite breezy assurances that they were harmless and should be ignored and left alone. How was one going to dissuade them from settling in, persuade them to move on ? The Internet provided the solution, along with a wealth of ‘fun’ bat-facts: there are 900 bat species in the world (of which only 3 are vampire bats and those live in Central and South America – and a few in Mexico), bats are not dangerous, do not carry rabies, pollinate plants and disperse seeds, control the insect population (eating up to 1,200 mosquitoes per hour during their feeding periods); they are not blind (they see almost as well as humans using high frequency vocalizations called echolocations – and some species see in colour), prefer warm weather (the tropics are fantastic places for them to live) and are wondrous creatures, absolutely vital for our survival. The locations of the bat enclaves in Singapore are kept secret from the public, according to the newspaper article, and a recent survey by NParks (and volunteers) discovered that there are a lot more bats in Singapore than previously believed – 26 varieties – including a new species (let us welcome the Hardwicke’s woolly bat) and two others previously believed extinct here (welcome back) – the bi-coloured roundleaf bat and the naked bulldog bat. The magic of all this is that more than 1,000 cave nectar bats live beneath a flyover in Central Singapore, and that is something I find as astounding and marvelous as the white egrets (in thick traffic) who appear to be waiting to cross the road on Commonwealth Avenue. But back to my personal bat story : I had to ‘ethically’ persuade them to leave and the answer was the wind chime. A number of these were purchased and distributed around the perimeter of the house, from rafters and eaves and branches and in time, to the soft chimes of wood and metal in the breeze, the fruit bats left for quieter spaces.